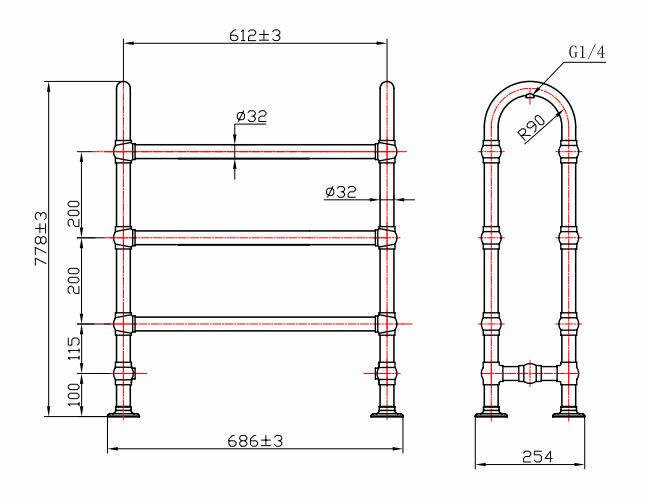 Freestanding Hooped Towel Radiator, an attractive and efficient bathroom heating solution. 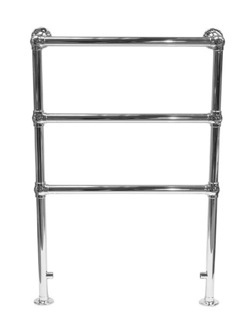 Traditional Freestanding hooped Towel Radiator in chrome. Now on Sale for a limited time only 50% off this beautiful designer radiator. 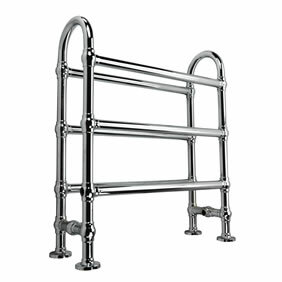 This beautiful bathroom towel radiator or towel rail offers that period style touch to your bathroom at an incredible price. The elegant Edwardian design has been popular in period homes for over a century.